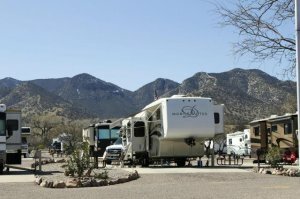 this is my first experience at a military rv park and I am certainly impressed the park is set up very intelligently. it is compact but each site has all you need to camp comfortably. the facilities are kept very clean and in great working order. the staff are very helpful and do a great job. lots of things to do on the fort and surrounding area. great for history buffs. I will be back again.